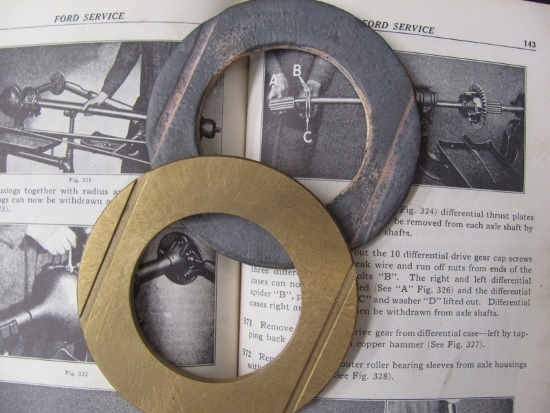 Model T Ford Forum: Thrust washer: How old? 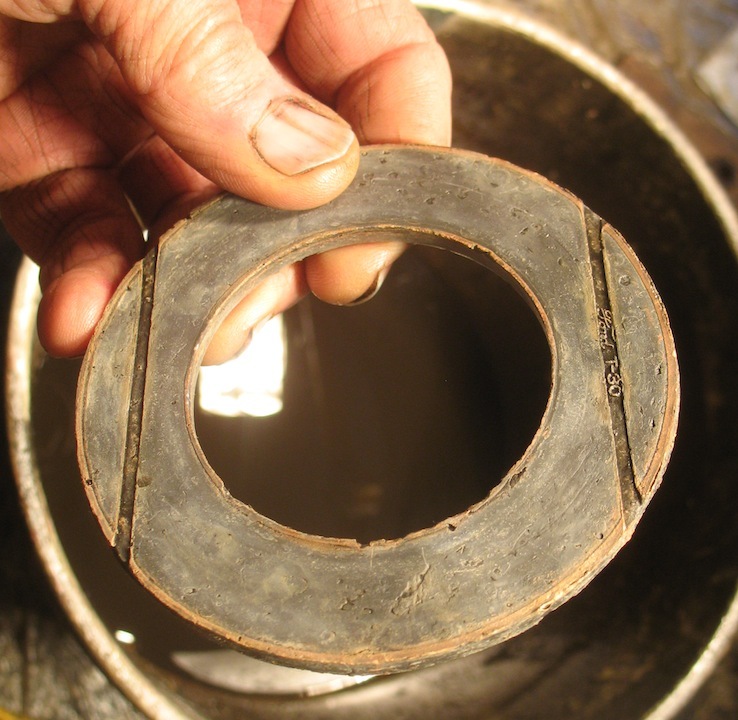 Model T Ford Forum: Forum 2014: Thrust washer: How old? The new replacements I have seen have a spiral in them. They need to be that way to help feed the lube between the steel thrust washers. Guess I need to go check the new one on the shelf now. Here's a current one, I assume, from Lang's website. It's what I got when I did the rear axle for my touring a couple of years ago. I have found them in 26-27 rear ends. 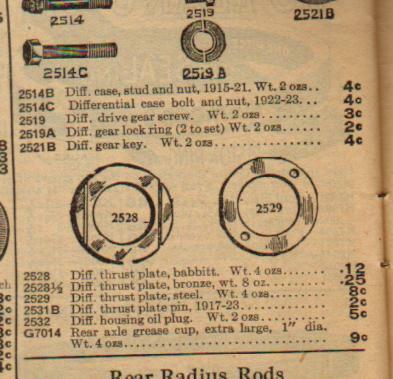 '20's auto parts catalog page. So the question remains. When were the spiral ones used? Were the ones Jack found from Ford, or were they later replacements? Is there any record of Ford changing to bronze in 26-27? If they're later, how much later? I have found the spiral thrust washers in the earlier models. I recently pulled down a 1913 rear end that had the sprial babbit washers. Quite possibly they could have also been aftermarket? The Part # 2528, (Fac. 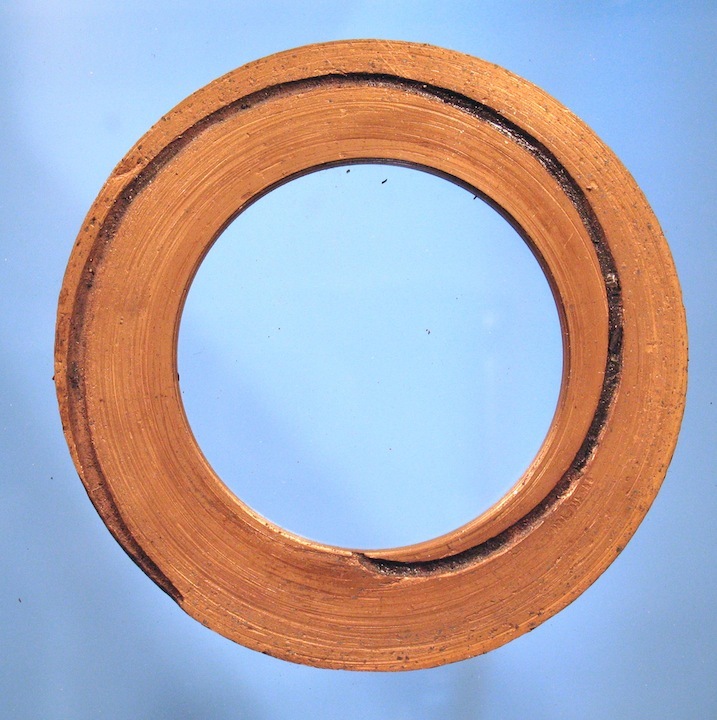 #T-30} Thrust Washer, is shown in the parts books up to 1924 with a spiral groove. In the 1926 Parts book the picture shows 2 straight grooves, like the repro made today. My guess is this is the later design, with 2 straight grooves. As far as material the early parts books say "Babbitt". The Feb. 1915 Parts book says "Bronze", later Parts books, thru the 20's and to the end say "Metal". After market suppliers in the day had both offered, with the bronze at a higher price than Babbitt. So who knowns? 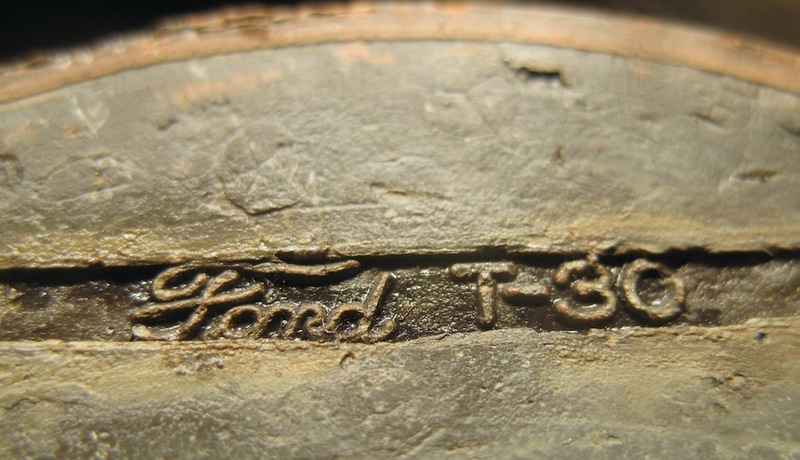 Ford did at some point use bronze, of course we know today to use bronze! I remember bronze with spiral groove in the 1960s. Seem to remember that they could be problematic, they could pump the lube out of the differential and push it into the axle tube if they were made/installed wrong. Something the straight groove ones can do as well if the groove intersects the center hole. I believe I used them in the first rear end I rebuilt. I bought them most likely from Bob's.